The Supreme Court will hear former Chief Minister Jayalalitha’s special leave petition for suspension of sentence in the DA case on October 17, Friday. The petition for early hearing of the SLP was allowed by a three judge bench of the Supreme Court headed by the Chief Justice H.L.Dattu. The Supreme Court had also agreed to hear the petitions of her co-accused -Sasikala Natarajan, V. Sudhakaran and J. Elavarasi —who were sentenced to four years’ imprisonment and a fine of Rs. 10 Crore each. The Supreme Court had allowed early hearing of petition for suspension of sentence pursuant to pleas submitted by senior advocate Fai.S.Nariman who appeared for Ms Jayalalitha and senior advocate Sushil Kumar who appeared for the co-accused in the matter. 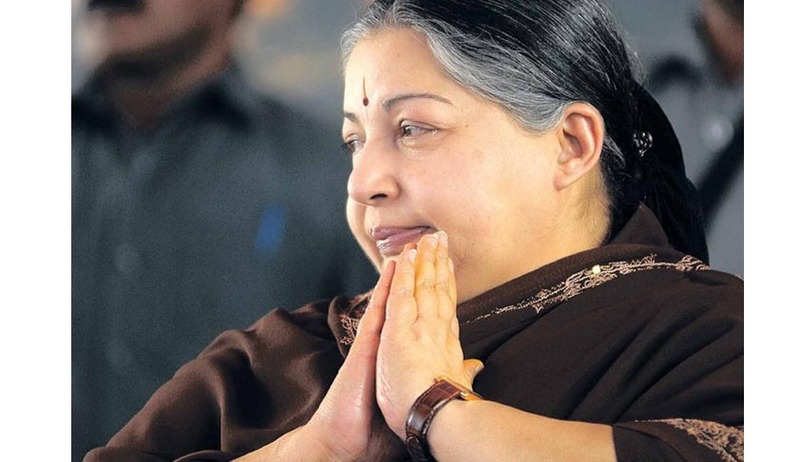 Ms Jayalalitha, was convicted by a Special Court on the ground of conspiracy to acquire assets to the tune of Rs. 66.65 Crore, and was awarded 4 years imprisonment and fine of Rs. 100 Crore, against which she along with her co-accused had filed a bail application before the Karnataka High Court. However, the bail application was dismissed by the High Courtvia its order dated October 8, wherein it observed that suspension of sentence and bail prescribed under Section 389 Cr.PC rests entirely on the discretion of the Appellate Court. The Court also dismissed their plea for suspending sentence imposed on them until their appeal against conviction is decided by the High Court. The suspension of sentence is sought on the grounds that she is a woman aged 66 years and is suffering from ailments, and since the High Court is expected to take a minimum of 4 years to finally decide the appeal, it would add on to further suffering in prison. Further, in the petition it is also contended that granting of bail and suspension of sentence are natural consequences of allowing of appeal by the appellate court, denial of which would render the appeal irrelevant. It has also been submitted that since the accused were awarded only “simple” imprisonment and not “rigorous”, denial of bail cannot be justified. Substantiating the same it was submitted that bail is the rule and it cannot be denied unless there exists an exceptional circumstance, which is lacking in the present case. The petition also seeks to challenge the appropriateness of the decision cited by the Karnataka High court in rejecting bail. In its order rejecting bail the High Court had termed corruption as a violation of human rights by citing the Supreme Court decision in State of Maharashtra through CBI versus Balakrishna Dattatrya Kumbhar. However, in their version the accused had contended that this verdict quoted by the Karnataka High Court was delivered in a matter seeking stay on conviction, whereas the instant petition seeks only suspension of execution of sentence.